This album is a breaking point in Savatage's career. "Gutter Ballet" is quite different than their previous releases, which were US power/plain heavy metal. This is much more ''sofisticated'', there's much more piano used here, more ballads... It's even maybe slightly progressive for that time. You could say, that "Gutter Ballet" is a templar for all later Savatage albums, since they became more and more piano and orchestra orientated. Jon Oliva, is, as always, great. From really great emotional singing, to some awesome screams, everything great. He also really shows his writing talent on here. Some of the best lyrics ever. Just check out the pinnacle tracks "Gutter Ballet" or "When The Crowds Are Gone". What to say about guitars? Criss Oliva is one of the most underrated guitarists in the world, and he also proves that with this record. Very nice riffs, leads and solos. Any single note he plays on this album has more feeling and expression, what many highly acclaimed guitarists bring on one whole record. As said, there are really some classics up here. 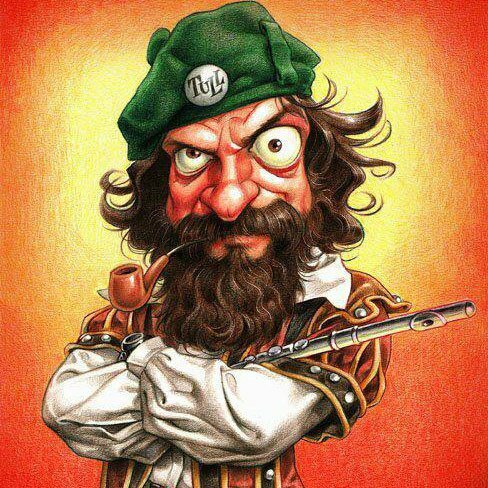 "Gutter Ballet" is a great 6 minute power anthem of the highest order. It starts off with a piano intro, then the guitars come in and make a really memorable atmosphere. The chorus is one of the best, it's really memorable and a great singalong. "Temptation Revelation" and "Silk And Steel" are both instrumentals, but they are one of the many highlights of the album. Criss did a really great job here. "When The Crowds Are Gone" is a great ballad. It also contains some verses later heard in Believe from Streets. Also a very memorable song. "Hounds" was written by Criss and it has sort of an doomy atmosphere to it. Great main riff! "The Unholy" could be from any classic 80s Savatage power metal album. It has that power vibe to it, Jon vocals are also very suitable. One of the hardest songs on the album. "Summer's Rain" is also a great ballad, nice guitar sound! You couldn't say, that there is any bad songs on this one, there are just songs, that aren't as good as the others. That would be mostly harder songs, like "She's In Love", "Thorazine Shuffle" and "Mentally Yours". And again, by all means, these songs aren't bad. For that, this is clearly a transition album between the strong heavy metal of their past and their future masterpieces made of the best symphonic and progressive metal I've heard in my life. Nevertheless, I don't consider Gutter Ballet a masterpiece, because I think that She's In Love is a weak track, and I don't like The Unholy too much. But another great songs like the immortally wonderful Gutter Ballet, the beautiful mid- tempo When The Crowds are Gone (whith the best Criss Oliva's guitar solo in my opinion, and with a great connection with their incoming marvellous ballad Believe...) and great heavy songs like Of Rage and War, the scary Hounds and the trashy Thorazine Shuffle, make this album an excellent addition to any collection. With this record, started the true Savatage's legend!!!! Gutter Ballet, along with its predecessor Hall of the Mountain King, marked the band's movement from straight-forward power metal to one of the top prog metal bands around. Chriss Olivia's pyrotechnics are augmented with the addition of Chris Cafferty, allowing for multiple melodies. John's keyboards are more prominent, especially on the instrumental Tempation Revelation. 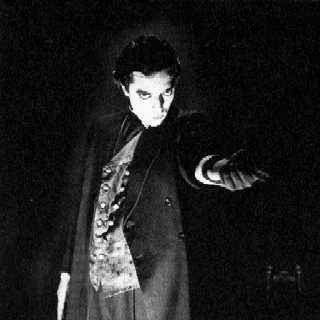 His vocals remind me of Udo Dirkshneider of the band Accept. If you haven't heard Accept, pictured the range and power of Scorpions frontman Klaus Meine combined with the tough as nails gravel of AC/DC's Brian Johnson. Instrumentally, this is a superb album. Chriss' inventive work all too painfully displays just how good he was and that it's a shame he was never noticed until after his death. Lyrically, John offers up a mixed bag. Songs like Of Rage and War, the anthemic title track, When the Crowds Are Gone, and Chriss' eerie Hounds are great, but the rest of the tracks with lyrics are standard power metal anthems that lead up to the chorus which usually consists of little more than the words in the song title as well as "Yeah!". John would pen better lyrics down the line, but he does a good job of slowly pulling the band out of their power metal roots and into symphonic territory. The off-kilter lyrics keep this from being a true classic, but fans of proto-prog metal (Queensryche, Fates Warning, Death) should start with either this album or its predecessor, or even the straight-forward rockin' debut Sirens. 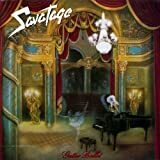 "Gutter Ballet" is the 5th full-length studio album by US, Florida based heavy/power metal act Savatage. The album was released through Atlantic Records in December 1989. There´s been one lineup change since the release of "Hall Of The Mountain King (1987)" as Chris Caffery has been added as a second guitarist (he is also credited for performing keyboards), making Savatage a five-piece on this release (although in reality Caffery didn´t perform on the album). Caffery had previously toured with Savatage. "Gutter Ballet" spawned two promotional videos for the title track and "When The Crowds Are Gone". Both videos were given repeated plays on the then prolific MTV Headbangers Ball show, which helped promote the album and heighten Savatage profile even more. Stylistically "Gutter Ballet" marks a change in musical direction for Savatage. Main composer Jon Oliva (producer Paul O'Neill and guitarist Criss Oliva are also credited as main composers) got inspired by musicals and grander song arrangements after watching a performance of Andrew Lloyd Webber's musical "The Phantom of the Opera", and although the core sound of the album is still heavy/power metal, some of the compositions featured on the album are quite ambitious in nature, as a result of the new influences. It´s not that Savatage hadn´t entered more sophisticated compositional territories before (their use of parts of pieces by the classical composers Edward Grieg and Gustav Holst on "Prelude To Madness" from "Hall Of The Mountain King (1987)" is an example of that), but now those elements are more fully incorporated in the band´s music. Occasionally even to a point where you could label the music progressive. However as on past releases the progressive metal elements are still only a secondary influence in the band´s music. 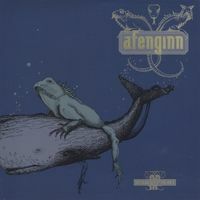 This is still first and foremost heavy/power metal delivered with great energy and bite. "Gutter Ballet" opens with the hard edged and heavy "Of Rage And War", which features the classic heavy/power metal Savatage sound, but we´re taken on quite a diverse journey during the next four tracks. The title track is a relatively progressive track featuring piano, orchestral arrangements, and a musical style build up. The arrangement is clever, sophisticated, and powerful. "Temptation Revelation" is an instrumental which is obviously written to showcase Criss Oliva´s considerable guitar skills (and succeeds in doing that while still being an interesting composition), before the power ballad type "When The Crowds Are Gone" kicks in. It´s yet another incredibly well composed track with a strong chorus hookline. The acoustic guitar instrumental "Silk And Steel" finishes the adventurous run of tracks, before the album settles in with more familiar sounding heavy/power metal tracks like "She's In Love", "Hounds", "The Unholy", and "Mentally Yours". The original vinyl version of "Gutter Ballet" closed with the power ballad "Summer's Rain", while the CD version featured the bonus track "Thorazine Shuffle" after "Summer's Rain". So looking at the tracklist it´s mostly during the first part of the album that you´ll find surprises in the musical direction, compared to the previous releases by the band. The musicianship is on a high level on all posts. The rhythm section of drummer Steve Wacholz and bassist Johnny Lee Middleton are a tightly nit unit, delivering pounding organic beats, driving the music forward in a great energetic fashion. Lead vocalist Jon Oliva takes his performance up a notch here compared to his vocals on the previous releases by the band (and that says a lot since his performances on those past releases were very strong). His raw rusty voice is commanding and powerful, yet always melodic and sensitive. Criss Oliva delivers one jaw-dropping moment after another throughout the album. His riffs are delivered with a rare bite and conviction, and his solos and licks are not only incredibly well played, but there is something special about his tone too, that not many guitarists are able to rival nor duplicate. You get the feeling that he bleeds notes. That´s the kind of intimacy he sounds like he has with his guitar. It´s nothing less than a perfect symbiosis. "Gutter Ballet" also features a very well sounding production. It´s heavy and powerful, yet detailed and clear. A perfect and tasteful sound for the material on the album. Upon conclusion "Gutter Ballet" is an album which shows Savatage developing their sound, but there is still a good balance between the epic and sophisticated moments and the hard edged rocking parts, and therefore the more adventurous elements never take away from the power of the music, which in some cases can be the downfall of similar releases. A 4.5 star (90%) rating is deserved. Savatage is another one of the bands that I've listened to a lot during my teens and therefore can't help but feel nostalgia every time I hear one of those Jon Oliva penned ballads. It doesn't really help that I'm a huge sucker for well written rock ballads to begin with. 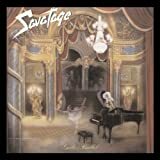 Ever since Jim Steinman started his decline towards the end of the '80s (remember that most of compositions on Bat Out Of Hell II were composed long before the album's '93-release), Savatage became the next best thing during that period between late '80s and early '90s. Jon Oliva came up with some of the best material of his life in that period and from what I can tell it all began with this release. I'm somewhat of a latecomer when it comes to Gutter Ballet since it actually was my forth and so far final Savatage-album purchase. I've heard the title track on many different occasions but hesitated strongly before purchasing the album. The deal breaker in this case was the second single off this album titled When The Crowds Are Gone. After hearing it for the first time I just had to give into the temptation of hearing the rest. The album did impress me from early on even though most of these compositions are in a sort of transition phase between the two different eras of the band's history. Savatage originally started off as a carbon copy of Judas Priest and judging from the early material I've heard they really had a long way to go in order to evolve their sound to the level they show on Gutter Ballet. The first track, titled Of Rage And War, is a good example of Savatage's early repertoire although this time with a much higher production quality. From what I've heard about the album's title-track it happened to be written at last minute notice after that the band's drummer had already left the studio and Jon Oliva played the drums on the recording. The final result has become one of the most recognized Savatage composition to date and it marked the change in direction for all the upcoming releases. Most of the material here is pretty solid but I still would like to point out When The Crowds Are Gone as my personal favorite. The trilogy of songs at the end of the album would be my runner-up choices. I consider them inseparable since they are suppose to form the band's first conceptual suite and this type of storytelling will definitely get even better with the release of Streets. Gutter Ballet is an early take on the formula that would pay-off with Savatage's next release so if you enjoy this type of music then this album is a must-have in your collection. 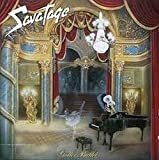 Deploying some orchestral and keyboard hits to their grandiose style of US power metal might make you think that Savatage were running a risk of descending into flat-out pretentious pomposity, but on Gutter Ballet they walk the tightrope magnificently. Not quite going into prog metal territory but certainly letting off warning shots at its borders, not so much going full symphonic metal with the orchestral elements but instead using the strings to add a certain much to their more traditional power metal style, Savatage juggle numerous musical ingredients with skill and produce an album which is simultaneously punchy and nuanced, accessible and intricate. Post a review of SAVATAGE "Gutter Ballet"